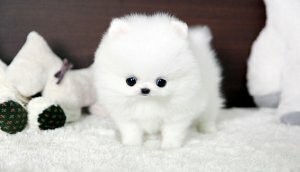 I have Pomeranian Puppies for Adoption. ( Contact Via Email xmaspoms01@yandex.com )The Puppies are currenton their vaccinations, and comes with all necessary documents. ( Contact Via Email xmaspoms01@yandex.com )They are pure Bred pomeranian Puppies , Champion line, playful with kids and other pets.They are seeking approval to any lovely and caring home.All enquiries please call/text 044714661 Or Email via xmaspoms01@yandex.com . Puppies Are be ready for their new homes - ready for Christmas.